How much does it cost to develop a chat app like Snapchat? People keep looking to find ways to communicate with their closed ones in a more fun and emotional way where they can share their feelings and stay connected. There have always been platforms like WhatsApp, Facebook, Twitter which allow them to do share their feelings but nothing is compared to what is offered by this amazing platform, known as Snapchat, isn’t it? When compared to other platforms, it is absolutely different and refreshing for the audience. This is the reason that it was an instant hit the moment it was launched and still continues to be. The firm today has taken over companies like WhatsApp & Twitter and that is no mean feat. Their disappearing photos & 10-second video spots have won the hearts of millions of people all around the world. 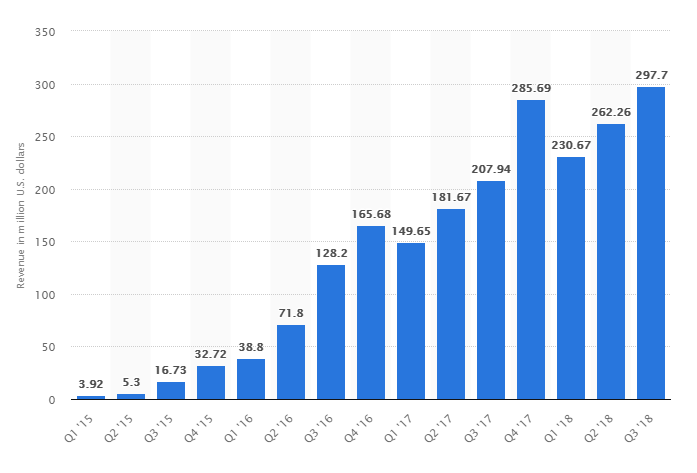 The brand has been very brave in its approach since the start, as companies like Google and Facebook tried to buy Snapchat but the latter instead trusted their process of exceeding limits and has their app reached 7 billion daily views in January 2016. Their previous goal was to reach $100 million a year, but they have exceeded their own expectations and are now making $100,000 every day. If you want to follow their footsteps and create a sensational app like Snapchat, then you should listen to our advice and read each and every point of our article with great focus. Nearly 3.5 billion snaps are exchanged every day. It would take around 10 years to through all the photos that are shared on Snapchat. Content views on that of Snapchat are compared with that on Facebook. There are nearly 187 million daily active users. Zuckerberg offered $3 billion to takeover Snapchat and after his first offer was declined, he even offered $6 billion. The man always knew what a giant Snapchat would become in the coming future. Right now, the estimated value of Snapchat is $22 billion. And let us get straight into the facts of developing an amazing app reminiscent of Snapchat. So, what exactly is the Snapchat app? This company was started with the idea of sharing videos and photos. It became an instant hit among the youth and achieved more than what was expected out of it. It became so successful that businessmen are looking to follow the suit and develop their own app, same as Snapchat. The interface of Snapchat is quite simple yet appealing. People who are connected with each other in Snapchat can send snaps, which are photos and videos, created with brilliant effects. This seems simple but this process alone can be determined in the context of popularity. Developers of the same field are looking to find out the reasons behind Snapchat’s breaking the roof popularity. If you want to find out the reasons behind its sky soaring success then stay with us to find out the exact reasons. Its most unique feature is that you can set a time limit that would indicate the time period for which the recipients can see the stuff. After the set time, the pictures will automatically get deleted. But the case with the stories is a little different as people can see the stories for a whole 24 hours. But after 24 hours, it will automatically get destroyed. This approach or method reduces the risk of media content getting spread all over the internet. This provides people the freedom to share their very personal pictures with their friends and be carefree about it. People in today’s world very much appreciate the privacy & security of their secretive and personal belongings plus they also like no unwanted restrictions. Without this concept of self-destructive messages, Snapchat would not have reached the heights it has climbed today. Nowadays many messaging apps provide this features but Snapchat was the first to design this feature and other companies are just cloning this idea. 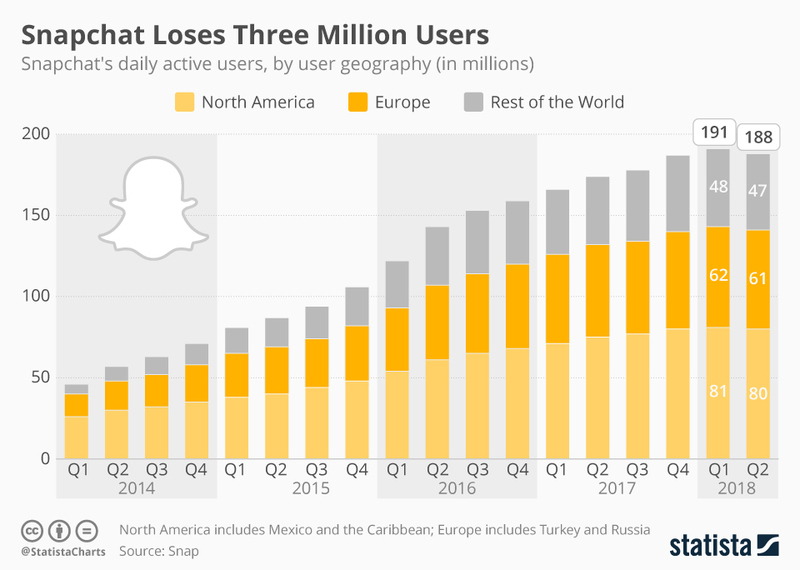 Snapchat was a trendsetter and that is why it grabbed attention on such a large scale. And by experience, we can easily say that the audience is the one that can create a massive growth in the count of the active users. Snapchat has the conception of the people that if something goes on the internet then it stays there forever. Create a snap and edit it at will by swiping towards the right or left. Set the time for which the media would be active for having a look. Send that snap to your loved ones and make them a part of your story. How Snapchat earns its money? As we have seen already, Snapchat earns via financial investments of big companies that look to advertise themselves through this app. Like, in 2016, companies such as Marriott International, Amazon.com and PepsiCo paid $1million each to get their promos up & running during the peak time of Super Bowl. Other sources of income include only a single use of lenses that are branded under Gatorade (a series of cocktails that belongs to PepsiCo) helps the Snapchat to make up to $450,000 – $750,000 per day. If we go by the stats, we can see that his specific video filter alone has been used over 200 million times. Three main monetization aspects of a company’s business model would be Camera, communication, and content. These three items would be very important if you look to clone Snapchat’s model. Social feature: Add, delete friends, block, find and connect with them via other platforms. Snapchat’s Social mode has innovated itself in the recent future and it now appears in a different look. Snapchat also has the Snapcode, the Snap Map and an advanced way to find the friends. Messaging: Snapchat can also be used as a normal messaging app. Group chat of upto 32 members is allowed and it keeping new stickers with every new update. Video/Audio calls: In its latest update it has shown that users can make calls and send pictures at the same exact time. Snaps – The idea of taking pictures and videos while also forwarding it to the friends by applying filters and text captions. Stories -It can be called a collection of snaps that can be viewed by the people for a time limit of 24 hours. Discover – This feature allows finding the latest updates, trending Stories, breaking news, etc. Video/Photo filters – Video captions and stickers. Snapchat consists of over 200 stickers and some stickers are in their way. Snapcash: By the use of this newly added feature, people can easily transfer money to their friends plus can also pay via debit card using Snapchat. This feature can be regarded as pretty secure because snapchat team has collaborated with some company that provides mobile payments. Geofilters: This feature provides the users with a set of filters that can be used as per your location. Again, this is a feature that brings a lot of money to Snapchat. Bitmoji: After the launch of a new augmented reality feature – 3D world lenses, App users are now provided with the luxury of putting an animated bitmoji on a snap and adjust it on the screen. Lenses: In this option, you are provided with a choice of 7 lenses that can be overlaid on the snaps to draw a funny effect. Lenses keeping on upgrading but the number of lenses remains the same. Snapchat is making a profit out of this unique feature by granting companies to create some unique lenses of their own. Augmented Reality Mode: Snapchat’s AR mode is a projection based type of augmented reality. Lenses are a second-best Snapchat feature. This function scans users face and then overlays different 3D objects on the top of it. There are a total of seven lenses to choose from which keeps upgrading every day. By using the “Point mask”, a user can make his face recognized. 3D world lenses superimpose animation on real-life environment whenever the main camera becomes active. A freemium model: This model is one of the most widely used ways to monetize any application. This method creates a positive outlook in the minds of the mobile app developers that their approach will work. Developing a free basic functionality and placing an enhanced version for a sure monthly subscription will help you to create a fine Snapchat clone. Built-in purchases: These purchases include funky stickers or any other out of the box option that strikes your mind. If in time, you become a successful app owner, various famous companies will be willing to pay you for creating quality and branded stickers. In-app ads: Especially at the beginning of your journey you won’t be able to hold your ground without the help of advertising. But this method works brilliantly when it is combined with a freemium model. Don’t make it your only source of revenue. 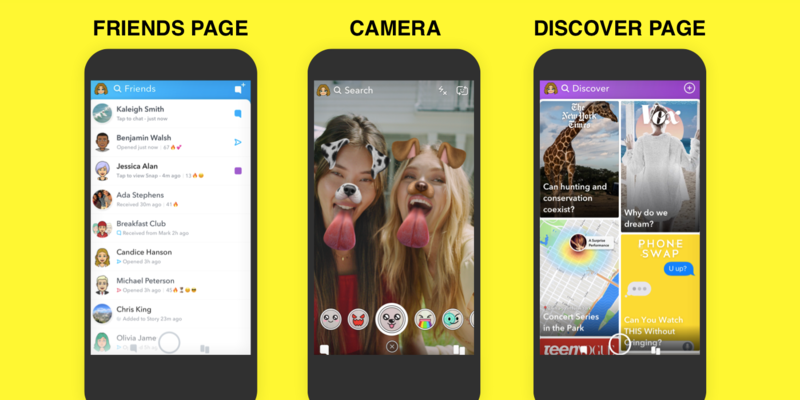 Paid users should be able to enjoy Snapchat without watching these unwanted ads. Cloud Hosting: Route 53, Cloudfront which are included in Amazon web service are used for hosting. Database Management: In the quest to handle a large amount of structured data in a more flexible way and to gain far superior performance in comparison to other apps, NoSQL is put to work in Snapchat. Analytics: In order to attain effective analyzation over website traffic & gather data on the topic of content marketing, Google Analytics is used. This also helps in streamlining the behavior of the app in real time. Marketing: Some of the very best marketing tools are used by Snapchat to increase its market value. Augmented Reality app: At present, Snapchat is loaded with 2 AR options – Bitmoji & Lenses. People don’t really care what technology goes behind the 3D image of a dog’s ears & nose. But these are prime examples of this advanced AR use in a quality mobile app. Lenses were discovered after snapchat bought up some Ukrainian company by the name of Looksery at a cost of $150 million in the year of 2015. Computer vision is used for lenses in order to create a 3D space through image data. For app filters, image processing is put to use. Viola Jones algorithm was used by Snapchat developers in order to guide the app for finding and recognizing faces. A projection type AR app can be built with the help of these following tools. Vuforia: To impose 3D models in the real world. Wikitude: In order to develop location-based marker or markerless AR. EasyAR: The basic AR platform for the development, cross-platform support, screen recording, 3D object recognition. Research: The prime motive of this step would be to provide you with the most effective solution. That solution will fit the bill of your expectations and overall budget. Documentation: The two parties involved in the app creating process will prepare a draft and get into a contract which will satisfy the necessary guidelines in order to create a snapchat clone. Prototyping: The developers firstly need to present you with the prototype that should contain detailed user flow, wireframes of each and every app screen on the basis of which you will inform them if the app is getting ready as per your expectations. UI/UX Design: To be really successful like other famous apps including Snapchat, your app need to have beautiful, clean, intuitive, user-friendly interfaces. So, this step becomes really important. Coding: At this step, your actual building of the app begins. Your dream becomes a working reality at this stage. Quality assurance: At this stage, the QA team conduct a series of steps that will eradicate all the technical errors and make your app a high-quality one. Release: This may be the last stage but one of the most important as your alternative Snapchat gets published at the earliest wherever it is ready. This is one of the most significant factors that will have a say in your app-building budget. Development companies have their own starting price that varies with the name of the company. An average team contains two developers, a designer, QA analyst, and project manager. In the quest of becoming a hot property in the world of social media apps, your app needs to be adaptable with both Android and iOS platforms. Snapchat can be seen compatible with both platforms. If you have a tight budget than launch it with one platform and wait for it to be successful to launch it on the other platform. It is the timing of the project. The longer project can be completed in a shorter period of time if greater numbers of developers are involved in the group. Your mobile app cost will depend upon the complexity of your mobile app. The complex and advanced you want your app to be, the higher the amount you have to pay. The variation in the cost comes with UI design, UX design, and wide-framing in order to complete the whole process. 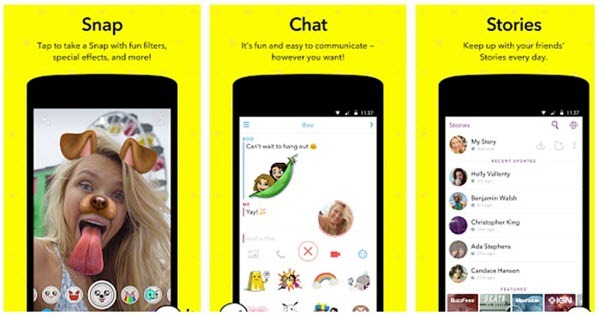 If you are really looking to develop a chat app that has the same exact features as that of snapchat then you need to arrange a really big budget. 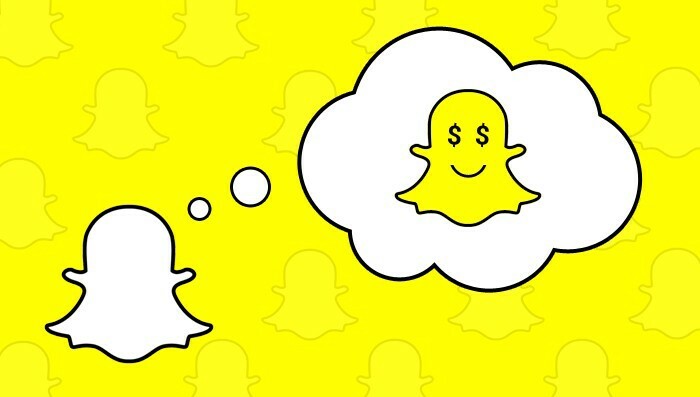 Snapchat for only one mobile platform would cost around $70,000. But the changes are up to you, like how similar you want your app to be like Snapchat. These changes will alter the budget according to your pocket. By now you should have understood how snapchat came into existence, what efforts went behind its creation and if you also want to create a ground-breaking app like snapchat then contact the leading mobile app development company to share your self-created innovative idea. There are many companies out there that all provide you with the app that you are dreaming about with their brilliant team and latest technologies. You can contact us if you want to solve any query of yours and can also get a free exact estimate of your application.